Macromedia Flash is a multimedia program. Flash is used to create and manage interactive movies. How to back up Flash files? 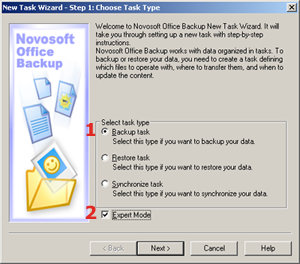 Novosoft Office Backup allows you to easily back up Flash files. add your Flash files to the backup set. 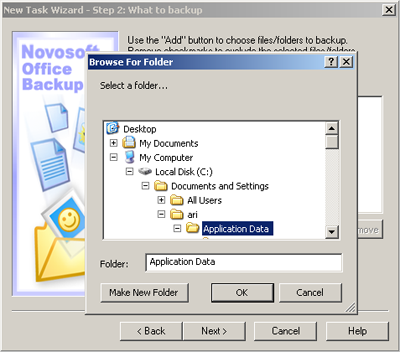 You can specify Macromedia Flash Player file extensions in Step 2 of the New Task Wizard: What to back up (Expert Mode) and Novosoft Office Backup will find and backup all files automatically. Macromedia Flash file extentions are *.fla and *.swf. 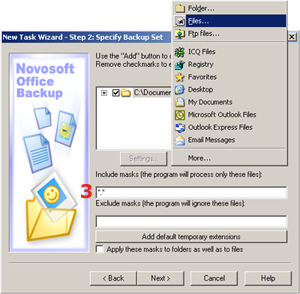 By default Flash files are stored in My Documents folder, so with Novosoft Office Backup you can back up My Documents folder automatically. Read more about My Documents backup.